During the days of the German Democratic Republic – GDR, from the late 1940s until 1989, the official form of art was known as Socialist realism. Intended to represent everyday life under Socialism, it portrayed the benefits of living and working in East Germany. 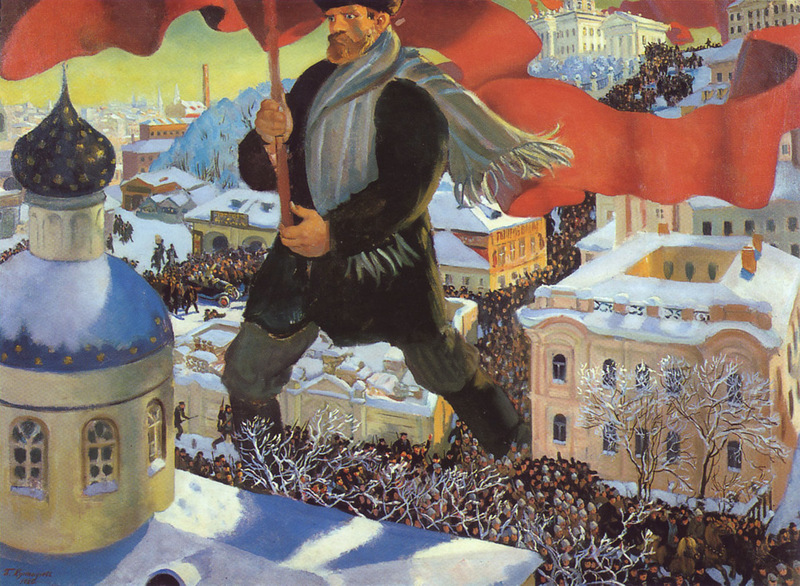 Developed in the early 1920s, Socialist realism is a style of idealized realistic art that was imposed as the official style in the Soviet Union between 1932 and 1988, as well as in other socialist countries after World War II. It’s characterized by the glorified depiction of communist values, such as the emancipation of the proletariat, often resulting in very kitsch portraits. Images of industrial workers waving red flags, soldiers helping working class women in headscarves, contented farmers, engineers and sportsmen are some of the figures also used as part of the socialist propaganda art. 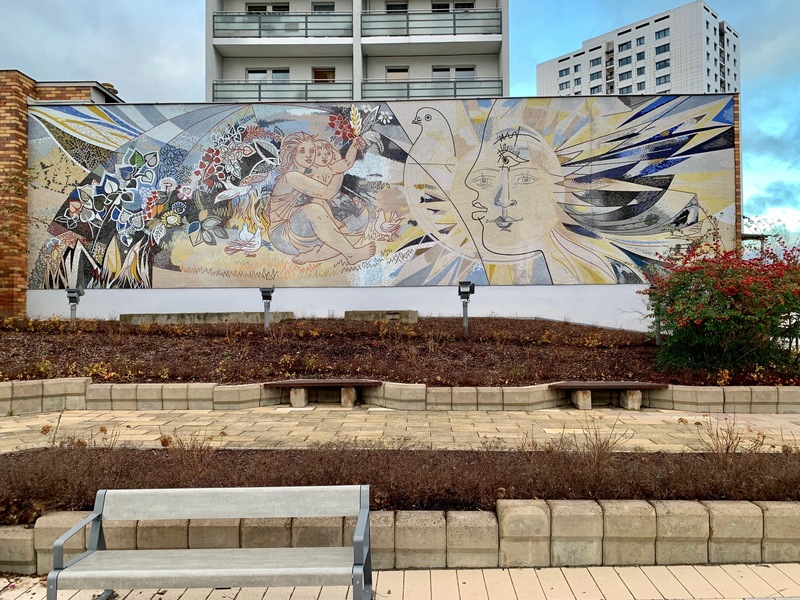 As capital of the former GDR, Berlin has a landscape that was marked by large-scale socialist works of art, commonly displayed in public areas. 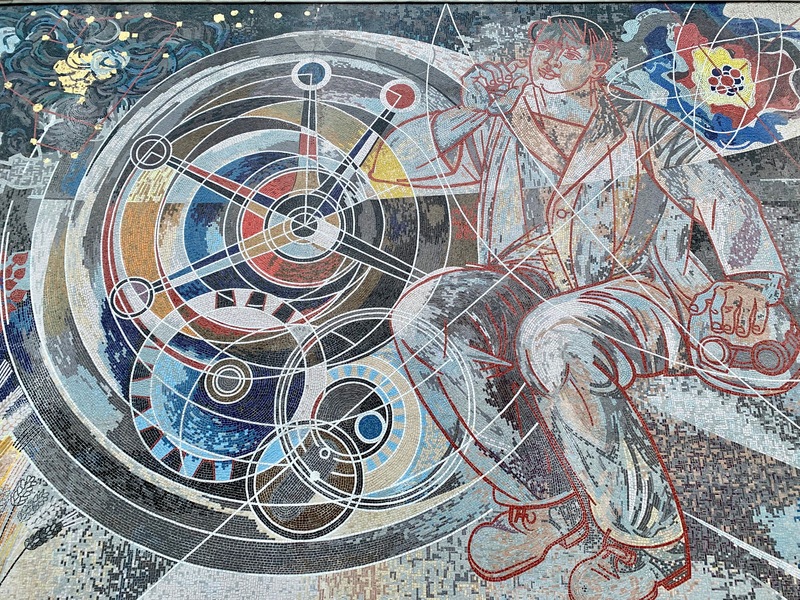 And we can’t discuss Socialist realist art without mentioning Walter Womacka, the central figure in the so-called “Kunst am Bau” (“art on building”) movement, responsible for creating many of the murals seen on well-known buildings in the former East Berlin to this day. So let’s start exploring the greatest Socialist realist murals in Berlin with some of Womacka’s most famous works. 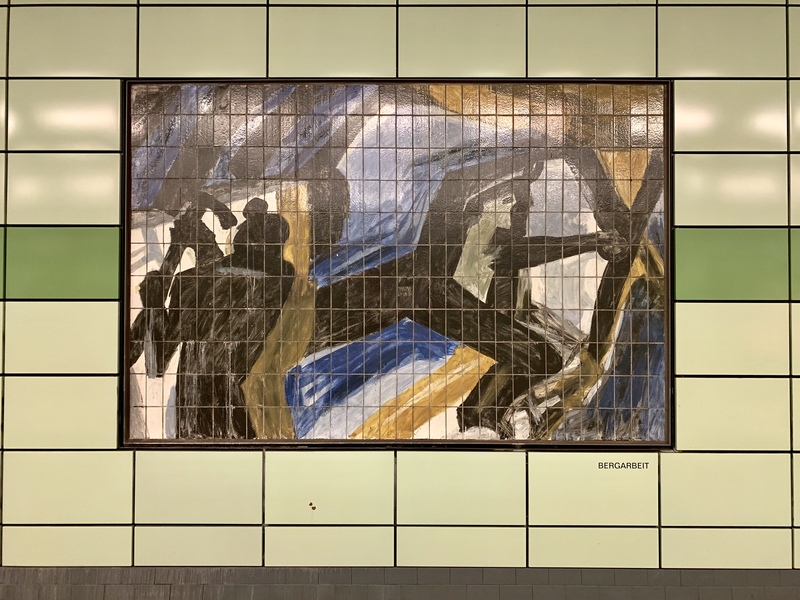 Located on the southeastern corner of Alexanderplatz, the mosaic ceramic frieze “Our Life” is certainly Walter Womacka’s best known work. The mural “wraps” the building and it’s Europe’s largest work of art in terms of area. 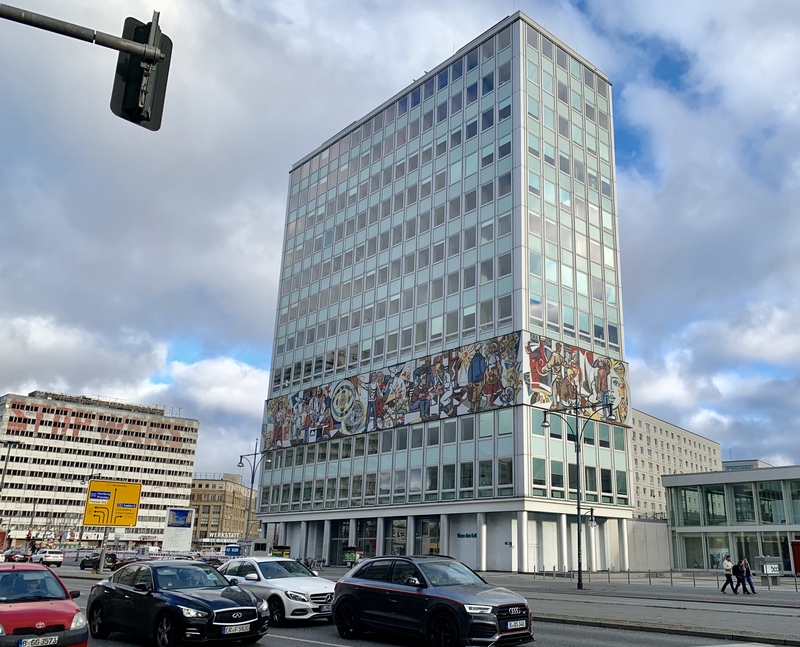 Comprised of approximately 800,000 individual tiles, it extends around two storeys of the Haus des Lehrers (House of the Teachers), once home to the former East German ministry of education. 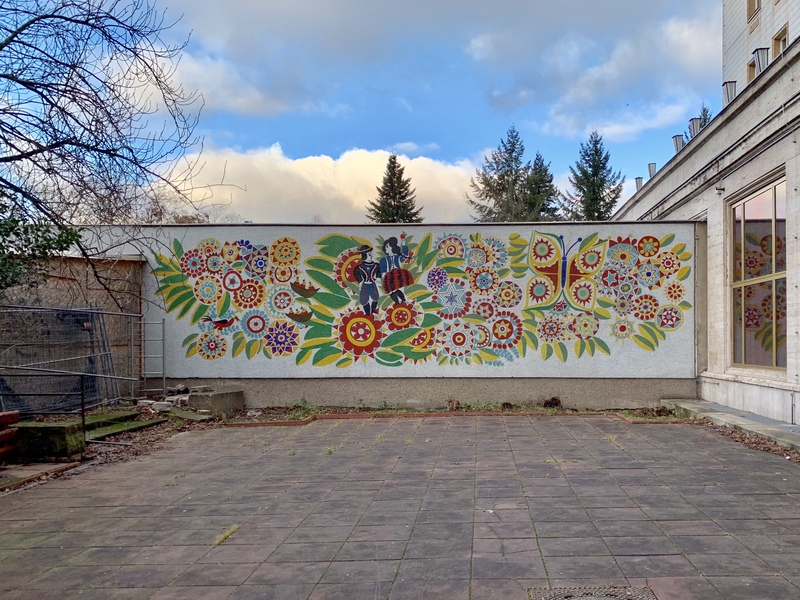 Womacka designed and produced the monumental frieze, which measures 7 x 125 meters, in cooperation with other artists from 1962 to 1964. 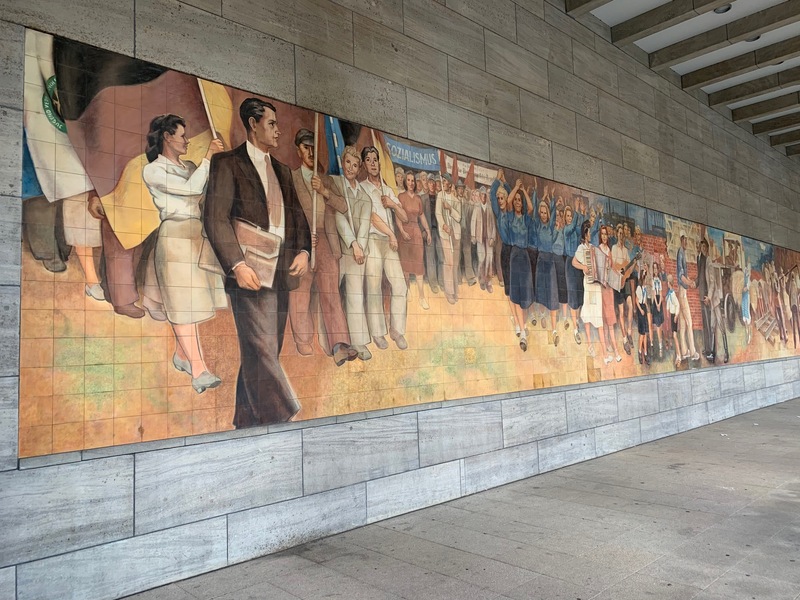 In “Our Life,” the designer used the murals of Mexican artists as his model and inspiration for his representations of social life in East Germany, setting a new trend in architectural art in the GDR. 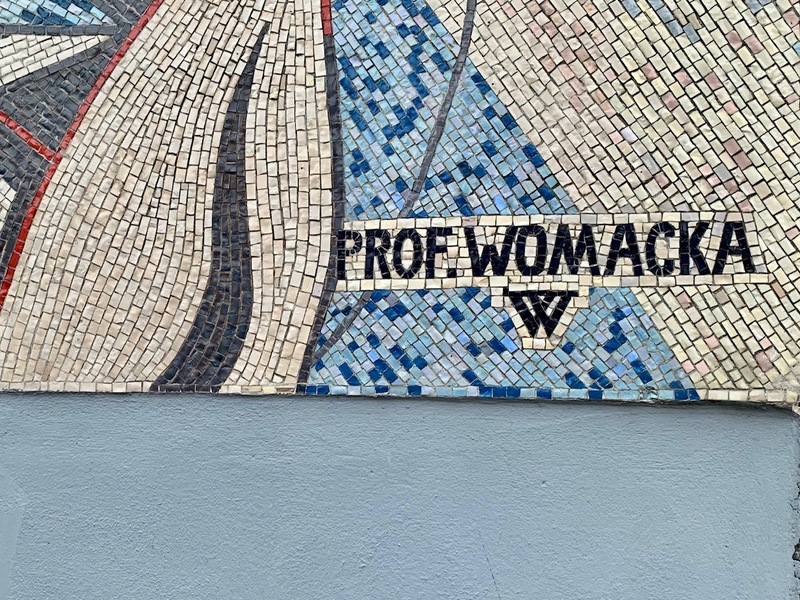 Given the mocking but affectionate nickname “the abdominal bandage” by Berliners, Womacka’s mosaic frieze, made of glass enamel, ceramics and lead, now has protected landmark status, as does the building itself. 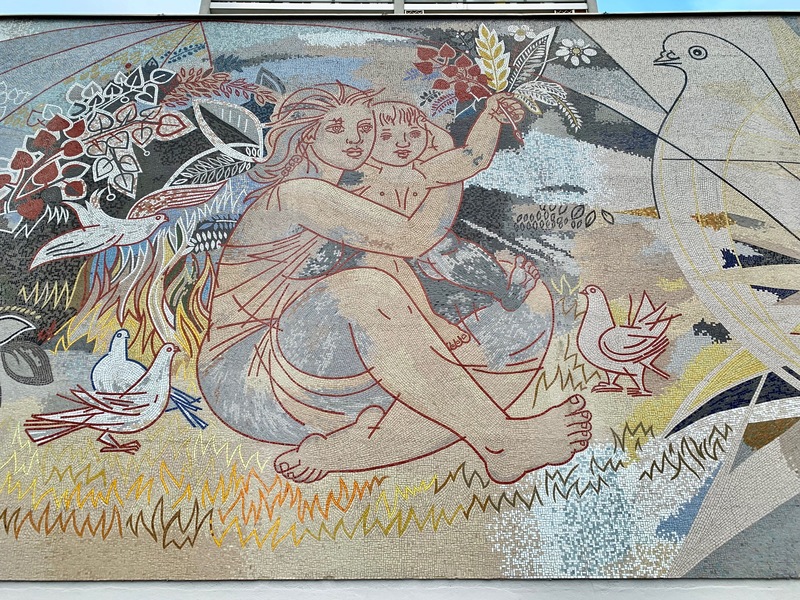 Another of Womacka’s creations, this mural was seen on the now demolished building of the GDR’s Ministry of Construction up until 2010. 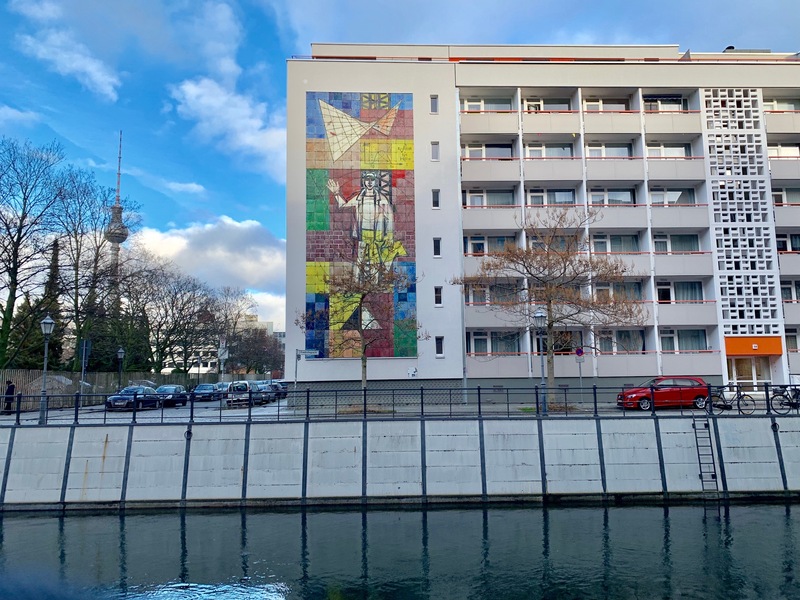 Made of enameled copper sheets, the work was restored and can be appreciated today on the residential building complex at Friedrichsgracht, next to the Jungfernbrücke. 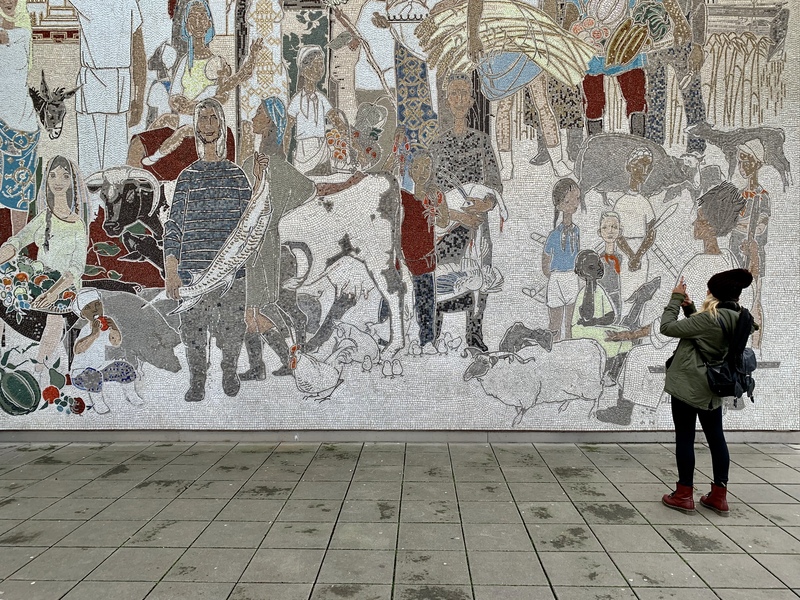 Womacka created the six-story (6 x 15-meter) mosaic for the façade of the torn-down building. 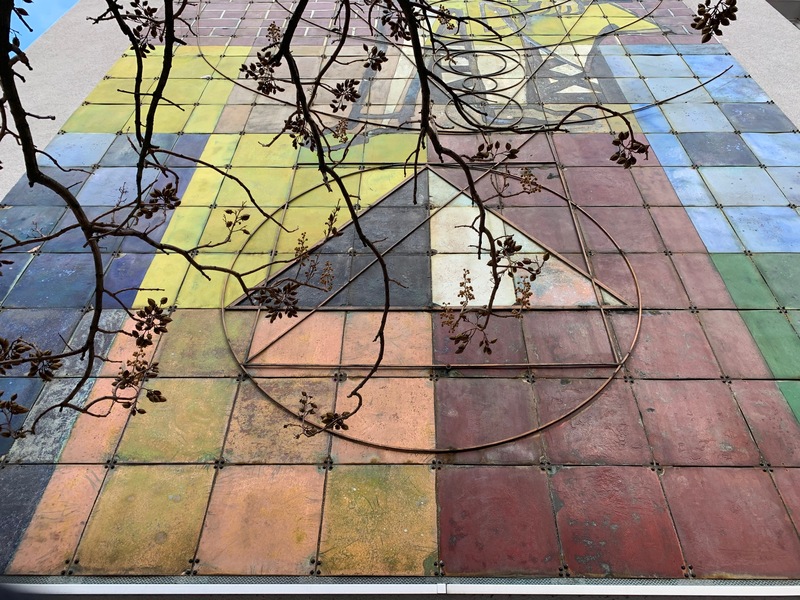 Fortunately, the art piece was dismantled, reassembled and once again displayed to the public not far from its original address on neighboring Breite Strasse. 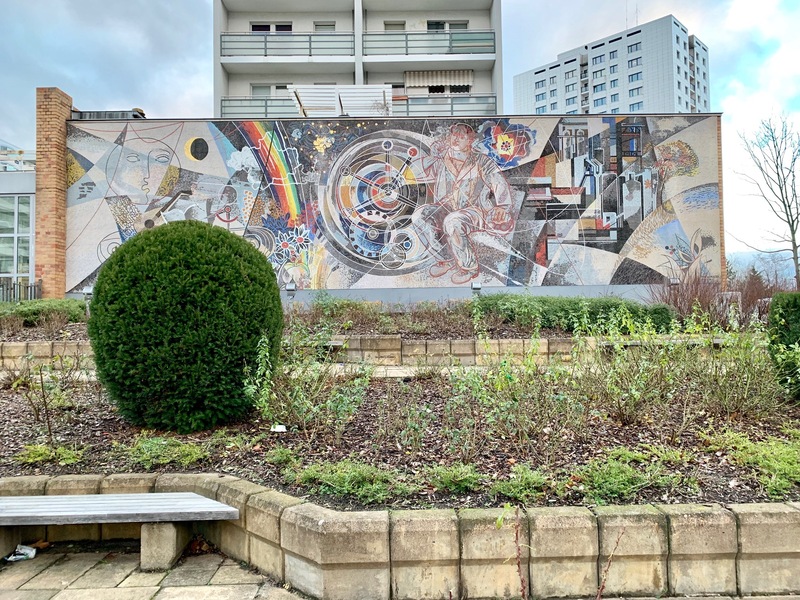 Two of Walter Womacka’s other works of art can be seen in the extreme east of Berlin, in the Marzahn district, conceived to provide modern housing solutions in the mid-1970s by constructing high-rise prefab buildings. “Labour for the Happiness of People” and “Peace” are both located on the Marzahner Promenade, at 40 and 45 respectively, a pedestrian street designed as the center of the new district. The murals helped add color to what was originally a very grey landscape. 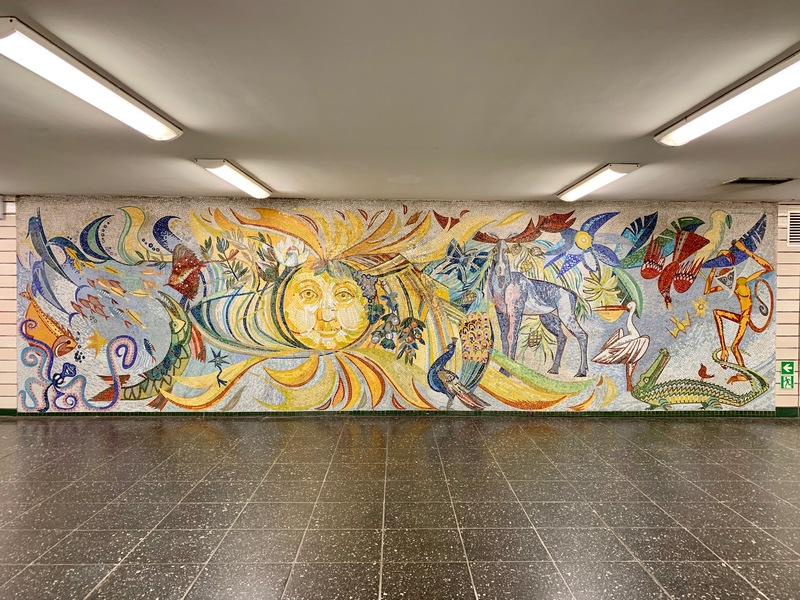 From 1950 to 1952, a remarkable mural 18 meters in length was designed by German painter Max Lingner, set back behind pillars and made of Meissen porcelain tiles, alongside the entrance to Detlev-Rohwedder-Haus on Leipziger Strasse. 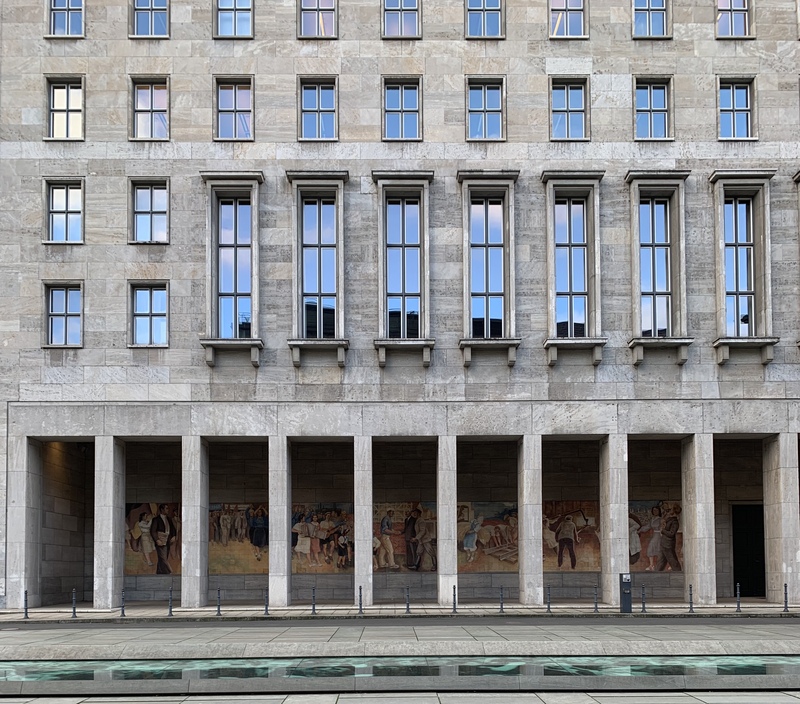 The building, the former Ministry of Aviation in the Nazi Era and House of Ministries during the GDR, is now to home to the German Ministry of Finance. 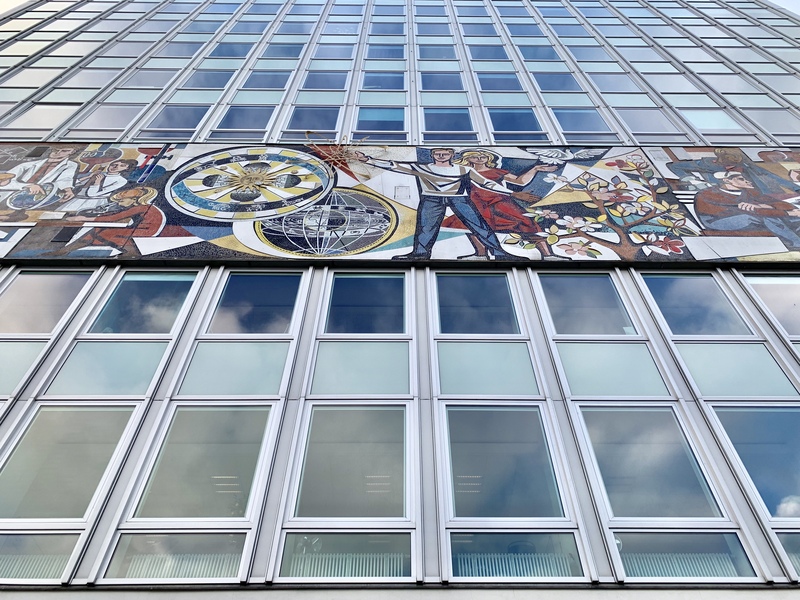 Created along with 14 artisans, the work “depicts the Socialist ideal of contented East Germans facing a bright future as one big happy family.” Ironically, one year later, the building became the focal point of the Uprising of 1953 in East Germany! 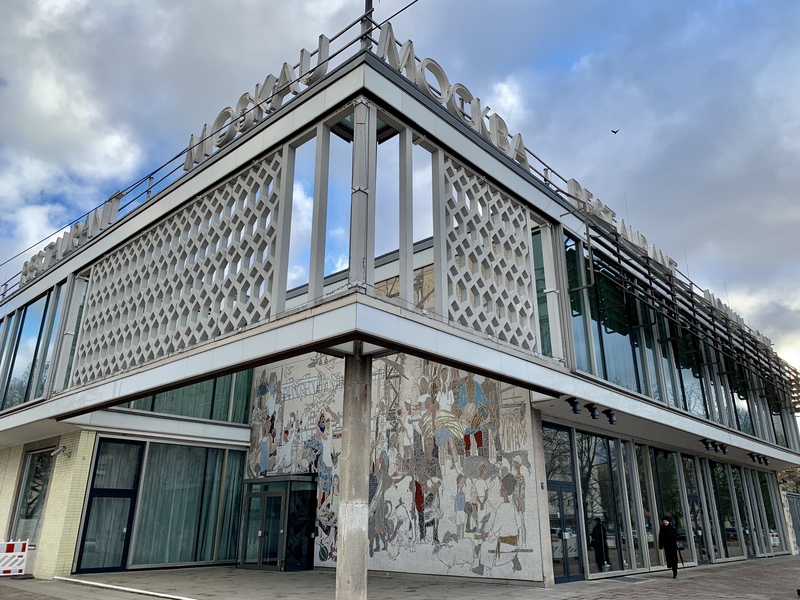 The entrance to the venue, located at Karl-Marx-Allee 34, is adorned by a 9×15-meter mosaic entitled “Aus dem Leben der Völker der Sowjetunion” (“The Life of the People of the Soviet Union”), created in 1964 by Bert Heller. 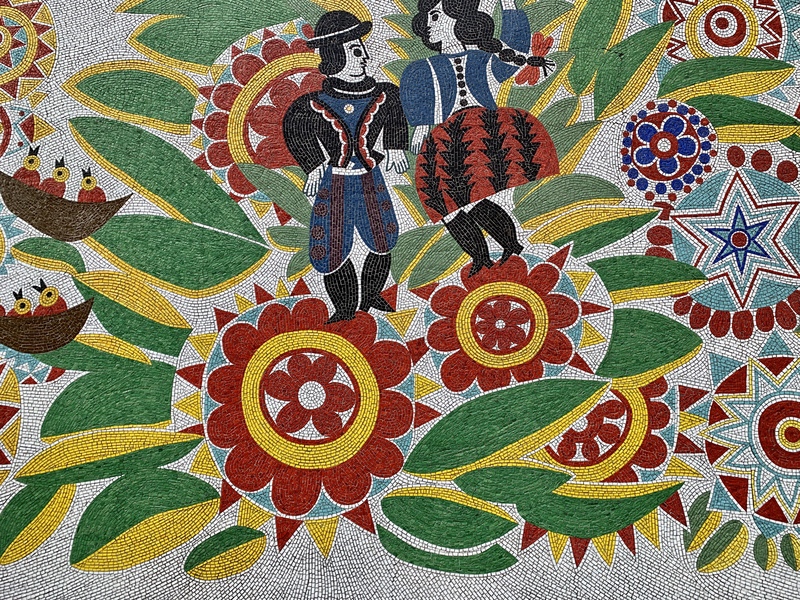 On a wall next to the building of the Computerspielemuseum at Karl-Marx-Allee 34, this colorful mural once decorated the Biergarten of the Café Warschau. Here again, it’s impossible to ignore the influence that the Mexican muralists had on the public art of East Germany. 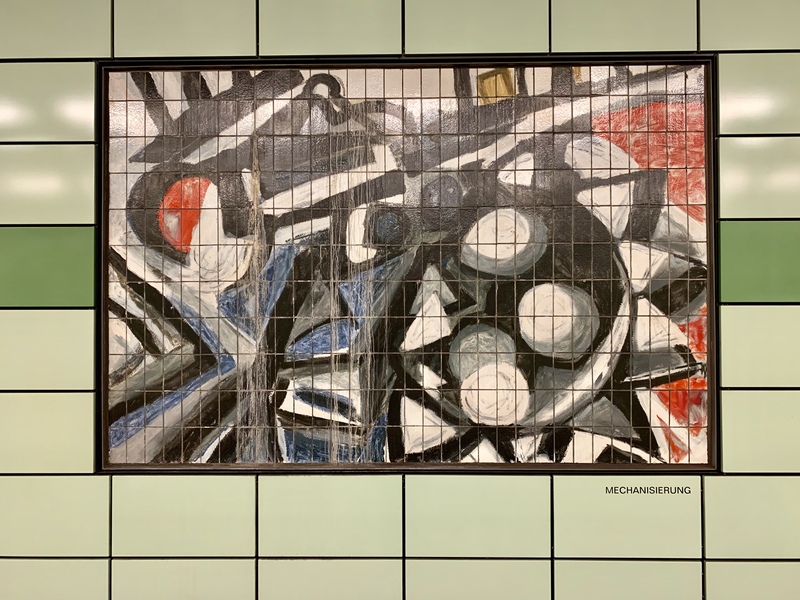 Twenty murals created by Wolfgang Frankenstein in 1986 are displayed on both platforms inside this metro station. They showcase the history of the German labor movement, from the March Revolution through to the founding of the GDR in 1949. 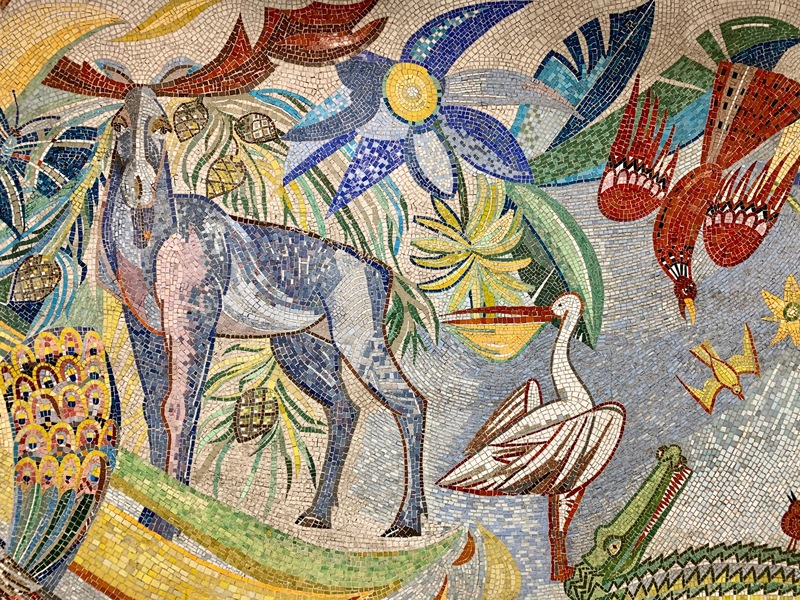 Located at the Erich-Kurz-Strasse/Tierpark exit, the “Wandmosaik mit Tiermotiven” (“Wall mosaic with animal motifs”), created by Dagmar Glaser-Lauermann in 1973 is a nice teaser to a visit to the above Zoological Garden Tierpark!